Run BGC 2011, a Multi-sport Event? Yes! You read it right! Run BGC 2011 will be a multi-sport event. 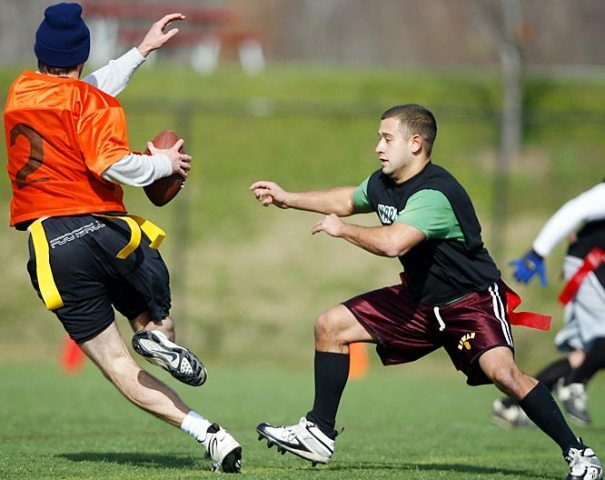 Aside from the run event, you have the option to join a simple flag football competition. You start with the run portion of the race, move to an individual play of catching a football, defending your flags after which you will have to shift back to running towards the finish line. Registration is until November 23. 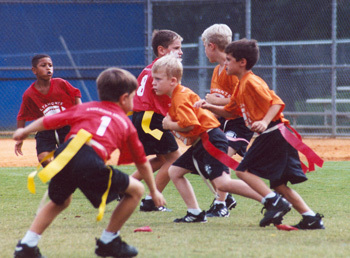 -This is an individual play where a runner would need to catch the football and defend his flags. -Runner steps inside the flag football zone and gets fitted with a flagbelt. He cues up in his designated lane. -A quarterback gives him the go signal to sprint to the 5-yard marker. Runner turns back to face the quarterback who will then throw him a football. Runner should try to catch the ball. -After catching the ball, runner turns around and again sprints to the end zone while defending his flags from the defender/s. -When he gets to the end zone, he then sprints back to the starting area with his flags and football to finish the course. See even kids can do it!